For many years we have given top quality felt roofing services to homes across Glasgow. These kinds of roofs are very popular and we provide a full range of services. 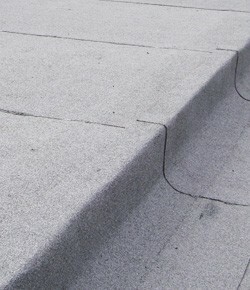 Whether you want a whole built up felt roof installed or just a simple patch repair, we can do it. Felt roofing is a great options for those on a budget and we fit them with professionalism leaving a quality finish with every single felt roofing job that we do. Whether you want a full roof installation or your current roof to be patched up a little, we are the company for you. We know how important it is that your roof protects your property well. To talk to the professionals about your felt roofing, call us on 0141 340 9604.